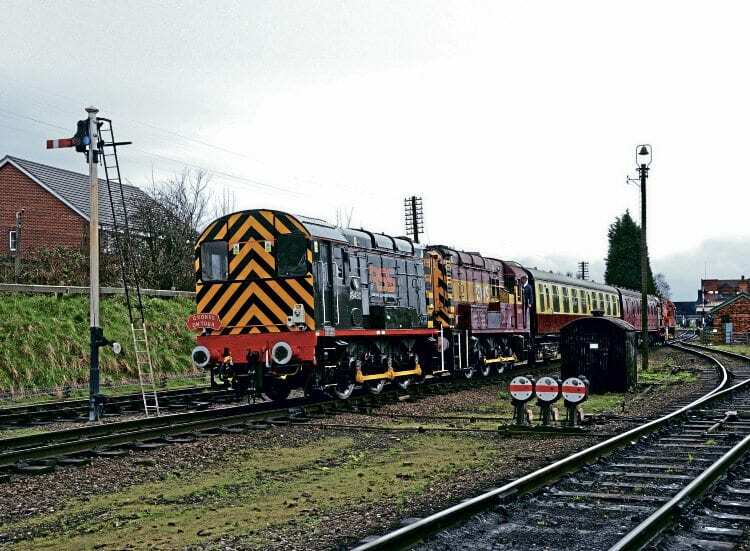 The Great Central Railway gala on March 18-19 featured shunter shuttles on both days between Loughborough Central and Quorn, formed of two coaches ‘top and tailed’ by Nos. 08480+08694 and 08907+08528 (D3690) – seen at Loughborough Central on the first day. No. 08480 was made available by RSS, the shunter being at the line for running in following an extensive overhaul since the company acquired it from DB Cargo in February. It was previously ‘celebrity’ shunter ‘Toton No. 1’, pictured (inset) arriving at RSS’ base at Wishaw (Warwickshire) on February 28, and is not believed to have ever worked a passenger train before. Read more News and Features in the May issue of RE – on sale now!